Quiznos Restaurant available at a Great Price! Phoenix East Valley. ABOUT THE BUSINESS: We're proud to bring to you a Quiznos restaurant franchise available for sale at a fraction of the price to build one. This Phoenix East Valley restaurant has an ideal location, near businesses, residential areas and freeway access. The price is great for an established Quick Service Restaurant Franchise or simply convert it to your sandwich shop and save big bucks! Hands on training and ongoing marketing support are provided by the franchisee should you decide to go that route. THE EQUIPMENT: All the needed equipment for a sandwich shop is available in this sale including walk-in cooler and a walk-in freezer. All equipment is used to support current operations. LEASE: With approximately 1,260 Sq. 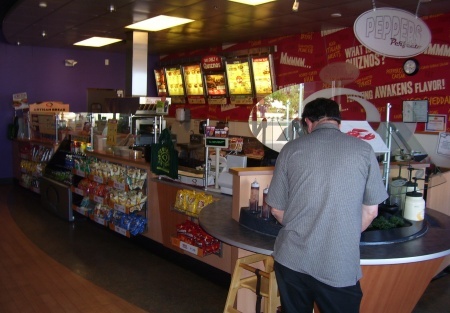 Ft., there is plenty of space to serve existing and new customers for this quick serve restaurant facility. This is an ideal choice for being in business on day one. REVENUE: The owner claims annual profit of approximately $40,000. This has not been verified by the Broker and the buyer should perform their own due diligence. At this low price, please don’t ask for financials, this is an asset sale and you need to know that this is a steal of a deal! REASON FOR SELLING: Medical issues will prevent the owner from continued involvement in the store. GET THE NAME AND ADDRESS: Select the orange button titled want name and address and you’re on your way to seeing this business.